On this page we will feature stories about the caregivers working to provide for the children. 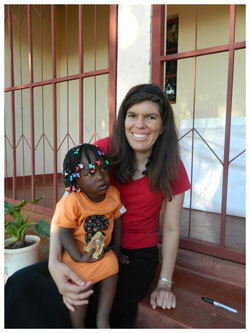 Erin Mitchell has been serving at the orphanage now for over 15 years. It all started after she graduated from high school in 1995. At that time she took a mission trip to Costa Rica after having been trained by the organization for two weeks. In the fall she began a two year program of study through that missions organization. They offered a Bible school, work and training program to help prepare young people for work overseas in various capacities. After the two years students were required to do a year of internship in some area of service. At that time, that mission group had begun a work in Mozambique including a Bible school and a small orphanage. As soon as Erin heard about the work there, she was sure that was where she wanted to serve. So, at the age of 20, Erin took off for Africa. Her family didn't really even know where Mozambique was at that time. She went there in the fall of 1997. When she arrived, there were only about 13 children in the orphanage. Mozambique had only been recently opened for outsiders to come in and it was the poorest country in the world at that time. 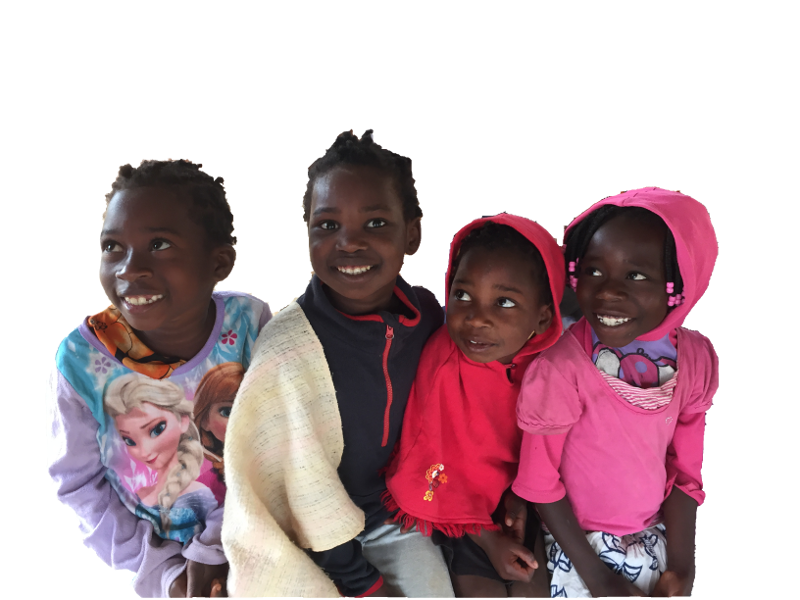 Erin began her life in Africa without the comforts of home: no electricity, no running water, very few foods that she was accustomed to and a new language to learn (actually two: Shona, the local language, and Portuguese, the national language). The main source of communications was very slow snail mail that went through the neighboring country of Zimbabwe. There were no telephone calls or emails. She has been a trooper ever since then. She is most happy working with the youngest children, reading to them, teaching them how to do art, sing, play games, learn their alphabets and be nurtured. Most of the time she is the only white person/Westerner there. She has built strong ties with the staff and has been an encouragement to them and vice versa. Erin has become "tia" (aunt) to all the children and is part of the fabric of the work there. She has become fluent in Shona (having been a translator many years) and somewhat fluent in Portuguese. She now is able to come home about every 18 months or two years to visit and get time with family and friends. She is torn when she comes home because she quickly misses the kids and her life in Mozambique. But during her visits she does appreciate the comforts of hot running water, pizza, a room without bugs and mosquitoes, TV and more. CFO is so proud of Erin's ongoing commitment to the children. She has paid a price for all the work she has done in the name of Christ. She did not get malaria the first 8 years, but gets it pretty regularly now. She doesn't get out and about much so life is pretty limited. She loves having visitors and being able to do some other activities while they are there (usually once a year). It is because of Erin and her work in Mozambique that CFO came into being. Check out the in-country Partners that CFO is currently working with and supporting. Learn more about the Impact your Donation will have. Please help us by Donating now.